Red for stop, green for go! 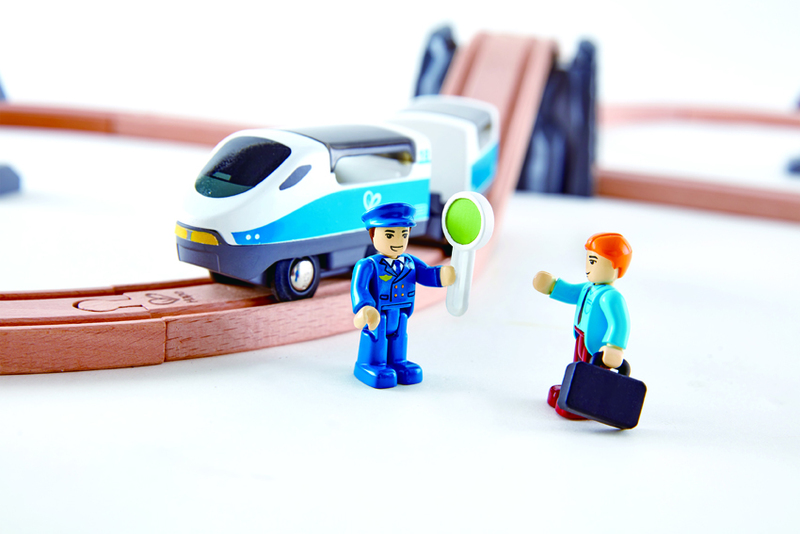 This lovely Figure of 8 Safety Railway from Hape makes an ideal first train set. Take the train out along the tracks, through the tunnel, over the bridge, then loop around again, but be sure to stop at any red lights! Red for stop, green for go! 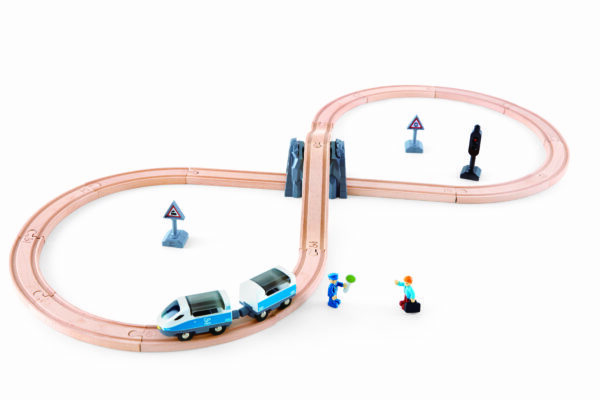 This lovely Figure of 8 Safety Railway from Hape makes an ideal first train set. Take the train out along the tracks, through the tunnel, over the bridge, then loop around again, but be sure to stop at any red lights! 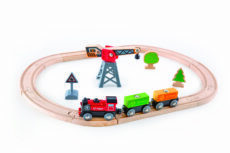 This wooden figure of eight track is easy for little ones to set up and includes a train and carriage which couple together magnetically, a conductor with a hand-hand-held sign, a passenger with luggage, a tunnel, 2 safety signs, plus a safety signal to stop the train and get it moving again. Made from natural materials with plastic accessories, this wonderful train set is finished in non-toxic, child safe colours and complements additional Hape sets. Lots of fun for even the youngest drivers!